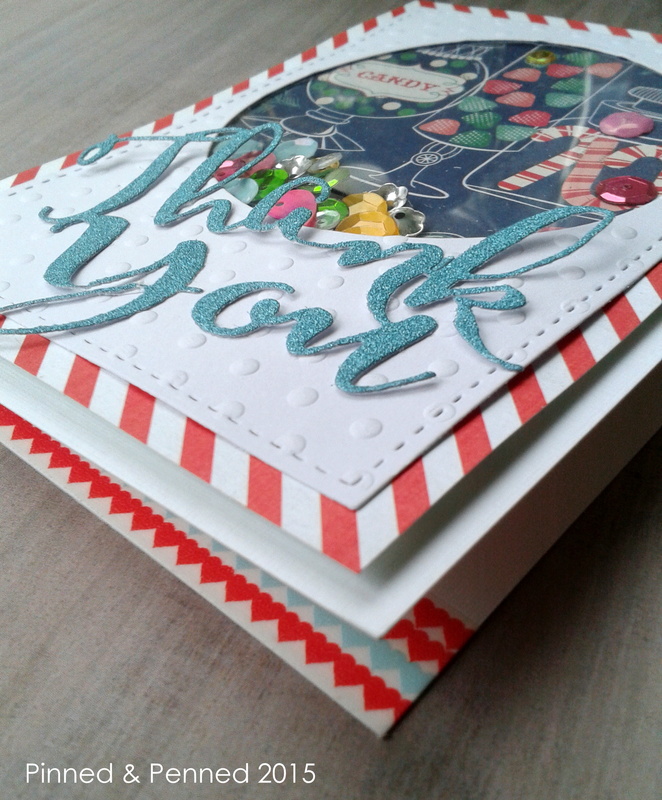 I think it’s fun to create thank you cards that reflect the gift you were given, so I have been doing just that for a few of my recipients this week. I have so many to fill out and get into the mail, as well as some lingering holiday gifts to send (yes, that’s right–my 12 days of Christmas may just turn into 12 weeks at this point), and of course so many card photos still from December to post here! Thus I’m on my third entry of the day, so I can make another challenge deadline! One of my crafty goals is to find some new challenges to play this year, and so far I’ve come across two thanks to some fellow crafters. So for this recent card, I joined Freshly Made Sketches. 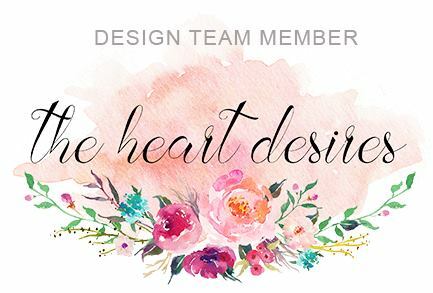 I love the sketch and it reminds me of a card I saw earlier in the week over at Studio Calico for their upcoming release. I think the theme of my card fits perfectly with the sketch, it’s like a window into a jar of candy! It’s a fun little shaker with a simple window covered with some acetate. The candy paper is an older release from Webster’s Pages. 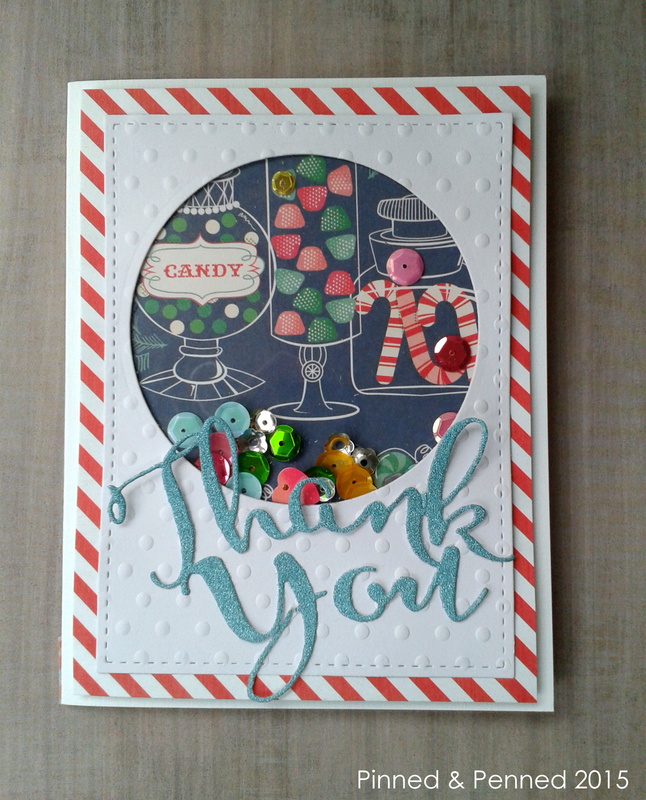 The Avery Elle “Thank You” die is proving quite the worthy purchase! 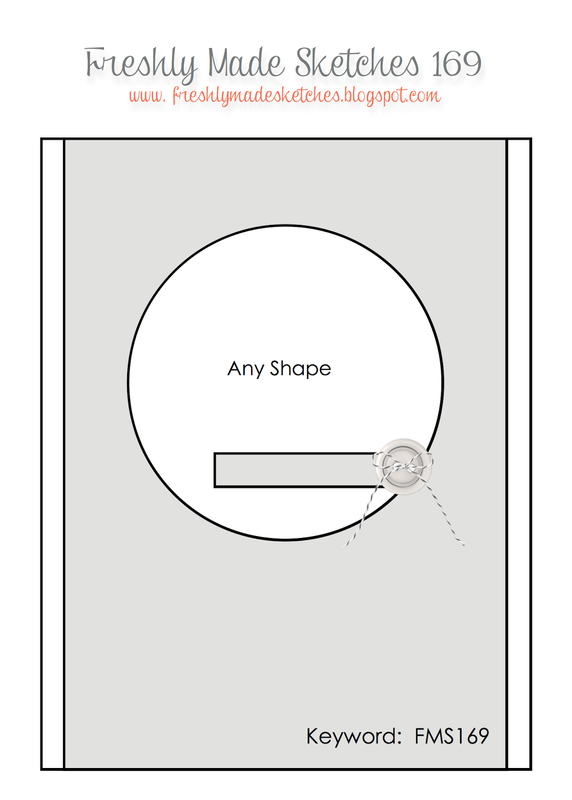 The stitched rectangle is also Avery Elle, another indispensable die! The inside is lined with some Valentine’s washi from My Mind’s Eye. Thank you for stopping by! Hope you enjoy a sweet start to your week! Great job! I love all the details and those flower sequins! Awesome Thank you card! Great colors!! Very fun card! Love that shaker box and the sequins! The background paper is fabulous! Thanks for joining us this week at Freshly Made Sketches! 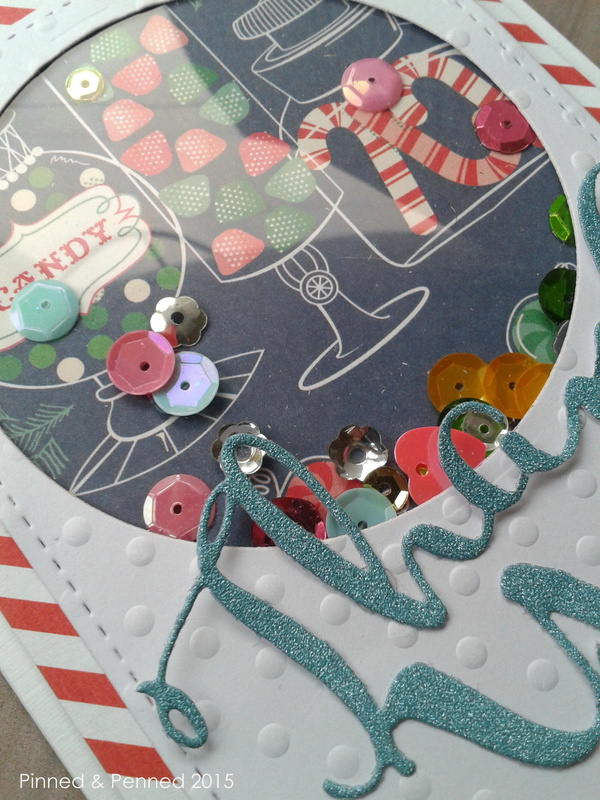 What a fun sequin mix and I love that candy paper! Another beauty! It’s all those wonderful details that you always manage to get ‘just right’!